Hello all. I just tried this discovery thing and img shows me an error. I dont get any of it. What is this supposed to mean? Is there a problem in my dvd writer? I have attached the error along. Could someone explain me what is this. 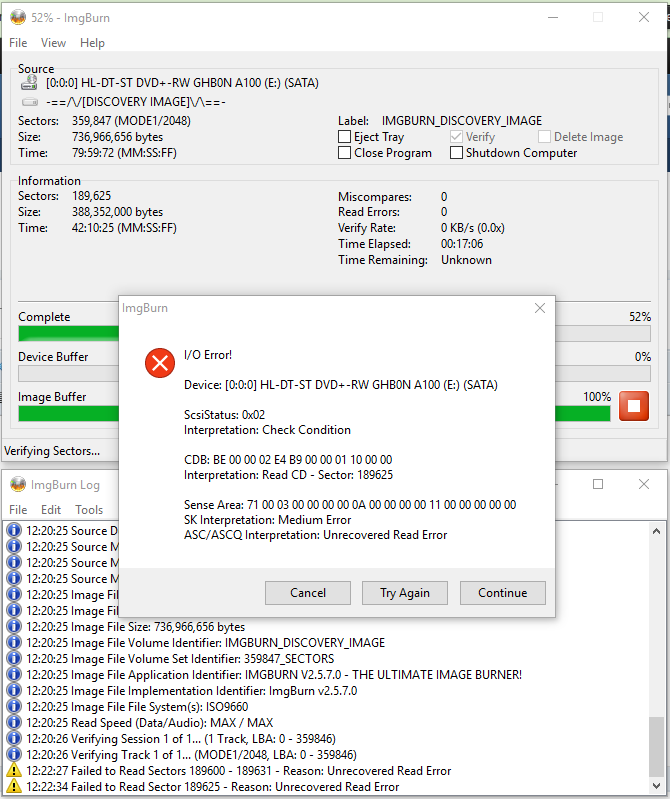 Usually that error means the drive don't like the disc you use. You may as well just try burning whatever it is you want to burn.